Value for money Bar / Café in a good situation attracting both the tourist and resident trade with year round opening possible. Currently, this traditional seafront cafe has been in the same family for the last 14 years and trades for most of the year (10 months) within this incredibly popular resort. The frontline position together with being situated in the heart of Cala Millor close to an abundance of hotels & apartments ensures trading in all seasons. 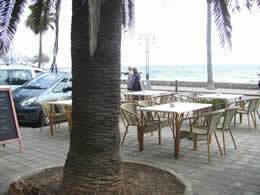 Externally the cafe boasts a terrace of 4 tables (16 chairs) which is located close to the pedestrian promenade and beach. 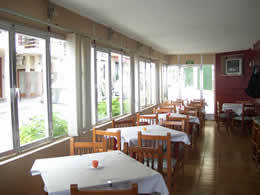 There is also an elevated patio area which contains 7 tables (28 seats). 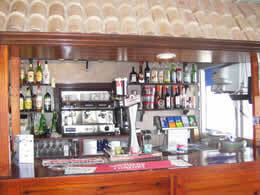 Situated off the main seating area is a poolroom with full-size pool table. This area could easily be developed if desired. There are 2 storage areas, one which houses 3 freezers & dishwasher the other used for dry goods / barrels etc. We recommend viewing this cafe to appreciate the potential.